Make sure all your bridesmaids look beautiful on your wedding day with their own Personalized Bridesmaid Compacts. 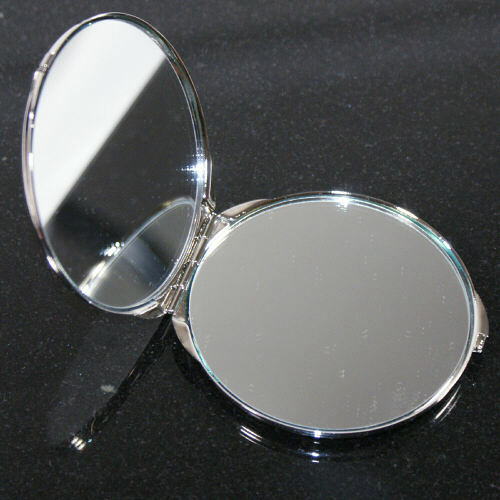 These compacts will be sure to be a hit gift on your wedding day and something they will be able to keep for years to come and remember your special day. 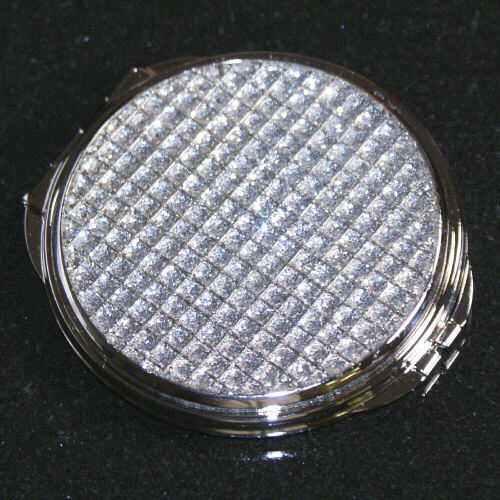 Our Personalized Compact is made of tarnish-resistant nickel plate with a clear coat protecting the glitter, measures 2.75" in diameter. Engraved compact includes FREE personalization! Engrave your Glitter Galore Personalized Compact with any name or initials. Great as bridesmaid gift bag stuffers. This item was great and the packaging was perfect. I gave it as a bridal shower gift with the bride's new monogram engraved. She loved it! 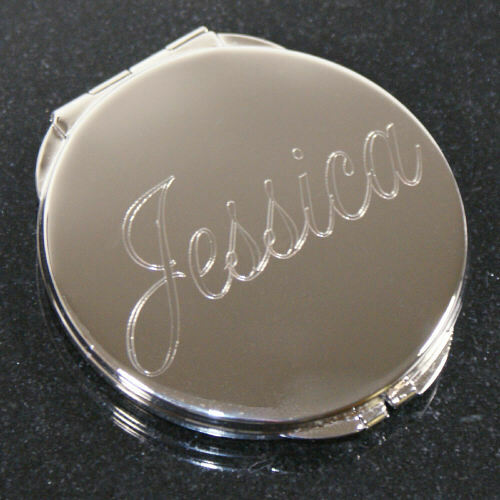 Our Personalized Engraved Compact makes a lovely gift to share with your sisters & friends. Select one for each of your sisters to celebrate your love for each other. These personalized engraved compacts make excellent gifts for your sisters on Sister's Day, Family reunions or just a special girls day out. GiftsForYouNow.com offers many creative Personalized Keepsakes for your friends. Some of our more popular Friendship gifts are our Personalized Friendship Frames, Friendship shirts & of course our Personalized Friendship Keepsakes.